<td width=”212″>How will I equip students for expected performances? Line students up in the gym, in the classroom, or outside and have them all face the same direction (towards you works best). Give students simple instructions to “turn to the left”, “turn to the right”, “move forward”. Repeat until students are comfortable with right, left, etc. Teach students how to log into a computer, use the mouse, use the keyboard and load pages on Safari. 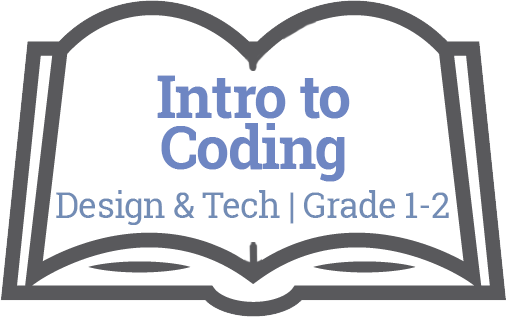 Have students go to code.org and (optional) create a user account. As a class, have students give one person directions in front of the class (on a projector, smartboard, etc.) to recreate one basic design on a blank grid. Give students grids of 4×4 blank boxes. In pairs, students give instructions to a partner to recreate a design they have (students can create the designs ahead of time, or create them themselves). Chalk or tape grides on the ground (4×4 or 5×5) about 1 foot squared for each square. Give students grids with grids that have certain squares coloured in. As in paper coding, students give each other directions to move around the square “move left, move right, move forward” and “put a piece of paper down” (use coloured paper that matches the colours on the grids you distribute to students. Use 3-4 students per grid (1 student giving instructions, 1 student per colour of paper) and have them change roles. Give students blank grids (4×4 or 5×5) and have them create an image or short message (a sun, a flower, etc.) they want to recreate in person. Using only 1-3 colours will work best. Set up grids outside, in the classroom, on the floor. Students use the same skills as in previous activities to give each other direction to move around grid and “colour in” squares to reproduce their image. Do performance task at Earth Day, so students create earth-related images around the school ground. Use google earth or maps to have students create routes around their neighbourhood on a printed map (“turn right, go straight”, etc.) – e.g. school to home, home to grandma’s house. Link to Google Earth Unit on My Community and Landforms – see other Grade 2 union on hub! Have students move on (at home or in school) in code.org lesson sequence. Have students use Turtle Academy to create their names, or other images. SO many more coding unplugged activities. Check out the padlet (above) or Google for more ideas!